Designed for you. Built to last. Made for life. 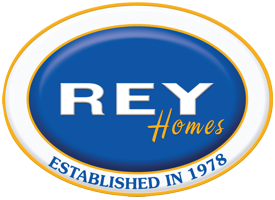 Find Out About the Rey Homes Difference. The beautiful VillaSol community in Kissimmee, Florida is a vibrant and growing development stocked with open floor plans of both single-family homes and multi family townhomes. The community is stock full of amenities to accommodate the active, modern lifestyle and the surrounding area is only growing with new luxury malls and high tech schools already under construction. Visit our Communities page to learn more! The well-accommodated Legacy Park Community sits in a beautiful area of Central Florida with easy access to all major attractions Orlando is known for – Sea World, Busch Gardens, Universal Studios, Orlando Outlet Malls, Lake Buena Vista and The Loop in Kissimmee, restaurants, shopping centers, supermarkets, main highways and more. Past the surrounding features, the community itself is loaded with amenities, such as a beautiful cabana and pool to enjoy the Florida sun. Visit our communities page to learn more!